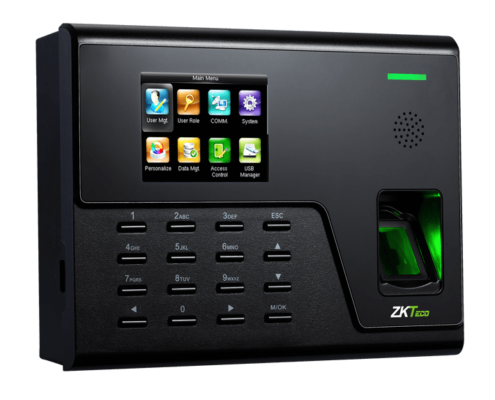 UA760 is a 2.8 inches color screen biometric terminal for Time & Attendance, and Access Control (primary) applications. 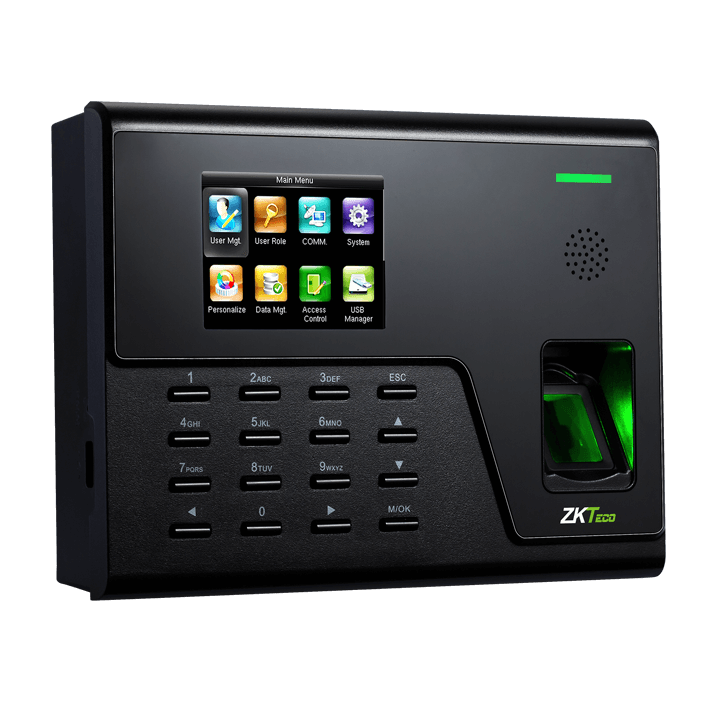 It adopts BioID fingerprint collector for excellent recognition and internal WiFi for convenient communication. Users can manage data via TCP/IP, WiFi, and USB host port for data up/download to avoid the risk of accidental deletion. 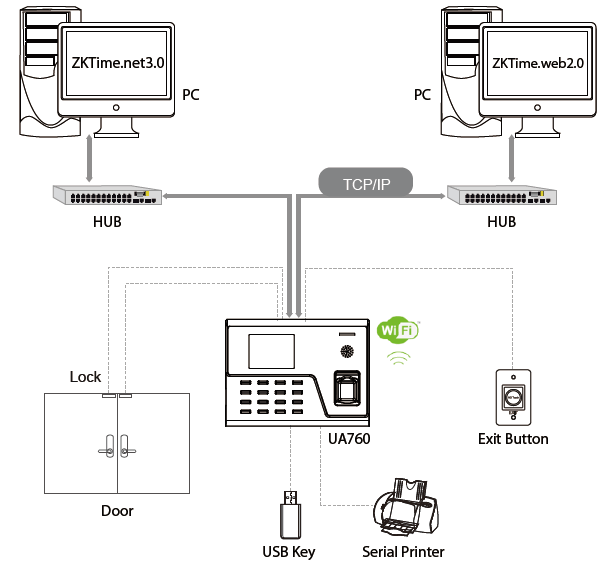 Besides, optional WDMS can achieve remote data management with our ZKTime.Net 3.0. • Wi-Fi: WiFi module is integrated. It is working on the 2.4G radio band, and meet the IEEE 802.11b/g/n standards. • BioID: Using BioID Fingerprint Collector for excellent recognition rate. Dry, moist, or rough fingerprints can work well.